We live in a robocall hell with an epidemic of 26.3 billion fraudulent calls made to U.S. numbers in 2018. Tired of con artist robots, no one picks up the phone for strangers anymore. My voicemail is filled with Chinese-language scammers using my area code and telling me that I’m about to be deported. I already got that message twice this week, thank you. Giving into public and government pressure, will the telecommunication industry finally fix the problem? 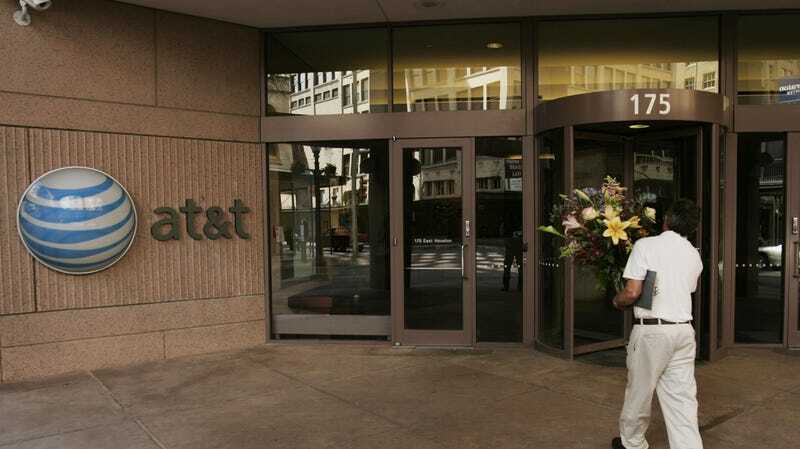 A newly announced partnership between AT&T and Comcast will authenticate calls made between the two networks in an industry first supported by competitors including Verizon, T-Mobile, Sprint, Google, Charter, Cox, and Vonage. Reached by phone, a Comcast spokesperson told Gizmodo that the verification service will be free on its network. Calls between the carriers were authenticated in a March 5 test using a protocol called SHAKEN (Signature-based Handling of Asserted information using toKENs) and STIR (Secure Telephone Identity Revisited), a verification method meant to cut down on spoofed phone numbers. T-Mobile began rolling out the system in a limited way earlier this year for calls on the carrier’s own network. Sprint committed to testing out the system in the second half of 2019. SHAKEN/STIR will work by using digital cryptographic certificates to verify calls are coming from where they say they are originating. A call is passed to a telecom company who has a certificate from a trusted certificate authority. When both phone companies are able to verify the source of a call, it’s marked as verified. When it’s unverified, the likely way American customers will see this system play out is a visible notifier that the call is unverified and therefore untrustworthy. A Comcast spokesperson told Gizmodo that we probably won’t see any automatic call dropping as the system is deployed but the way the SHAKEN/STIR framework is used over the years will depend on specific companies and platforms. The telecom industry’s drive to adopt the SHAKEN/STIR protocol comes after Federal Communications Commission Ajit Pai threatened regulation for companies failing to adopt anti-robocall tech in 2019. The TRACED Act is a bill in Congress aiming to make use of the SHAKEN/STIR protocol mandatory. The clock is ticking for the telecommunications giants and, wait a minute, hold on, I think someone is calling me. Ah goddamnit.